The Town of Newmarket has just released its Statement of Remuneration and Benefits for 2017. (It is dated 19 March 2018 but is just posted.). It shows Mayor Tony Van Trappist getting pay and benefits totalling over $212,000. You can read the details here. 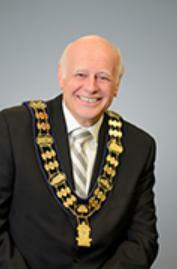 He gets his cash from three main sources – the Town, York Region and Newmarket-Tay Hydro. He is on the latter two by virtue of his position as Mayor. Apart from the cash that goes into the bank by way of his monthly salary he gets various benefits including his leased car. He claims for gas. His benefits include Omers, CPP, EHT and sundry group benefits. The biggest distortion in the reporting of these figures lies in the Town salary which is one third tax-free. Some municipalities voted to get rid of this valuable concession but not Newmarket. This makes it impossible to compare the salary packages of Mayors and elected officials across the Province without knowing first if the Municipality is tax free or not. The figures for Van Trappist show that in its present form the Sunshine List is worse than useless. Personally, I believe people should get the rate for the job and elected officials are no different from anyone else in this regard. But I don’t like pretend salaries which massively understate the true value of the salary and benefits package available to people like Van Trappist. The Federal Government has decided to abolish the one third tax-free concession for elected officials as from 2019.